it is actually easier than you think! The release of GeoDirectory v2 on the wordpress.org plugin directory is imminent. 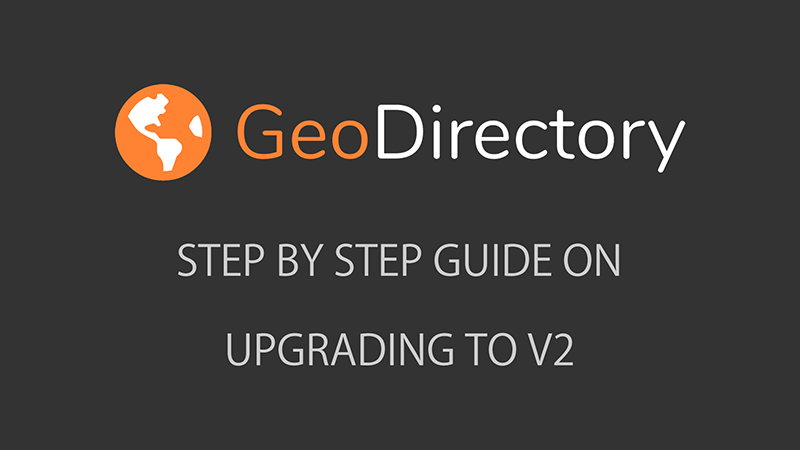 As we explained several times, GeoDirectory v2 is a brand new software. Upgrading from V1 to V2 requires few extra steps compared to the usual update. Stiofan made the screen-cast video of a full conversion of one of his websites. As you can see it took him 27 minutes to record the conversion while he was explaining what he was doing. You should consider that he’d probably needed less than half time if he’d just be focusing on the conversion. This is not a huge chore after all, especially considering the benefit that V2 will bring to your websites. As always, we recommend to take a backup of your database before starting any upgrade. Also we suggest to try the conversion on a staging website first and than move to the live website. We hope you will enjoy GeoDirectory V2. If you have any issues upgrading, don’t hesitate to open a new ticket in our support forum: https://wpgeodirectory.com/support/. Our team of support specialists will be more than happy to assist you.